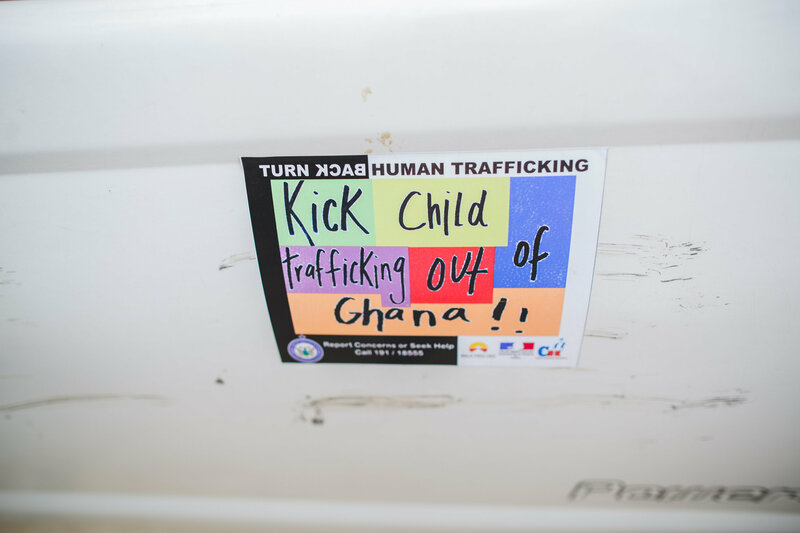 Touch A Life is incredibly proud of our partnership with the Anti Human Trafficking Unit (AHTU) of the Ghana Police Service. 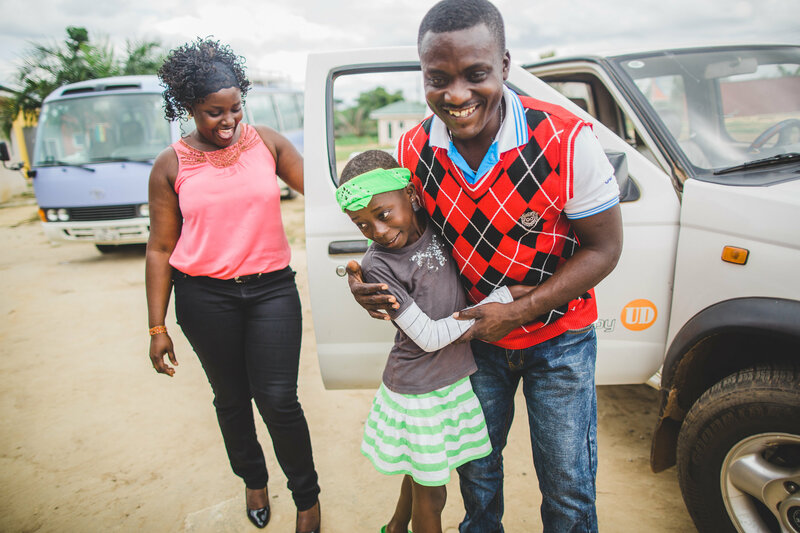 They recently visited our Care Center campus to invite Bernard, our Ghana Country Director, and some of the Touch A Life kids to a human trafficking awareness event for the Ashanti Region in central Ghana. The AHTU team was able to visit with Mary Af., who they brought to the Touch A Life Care Center over a year ago. 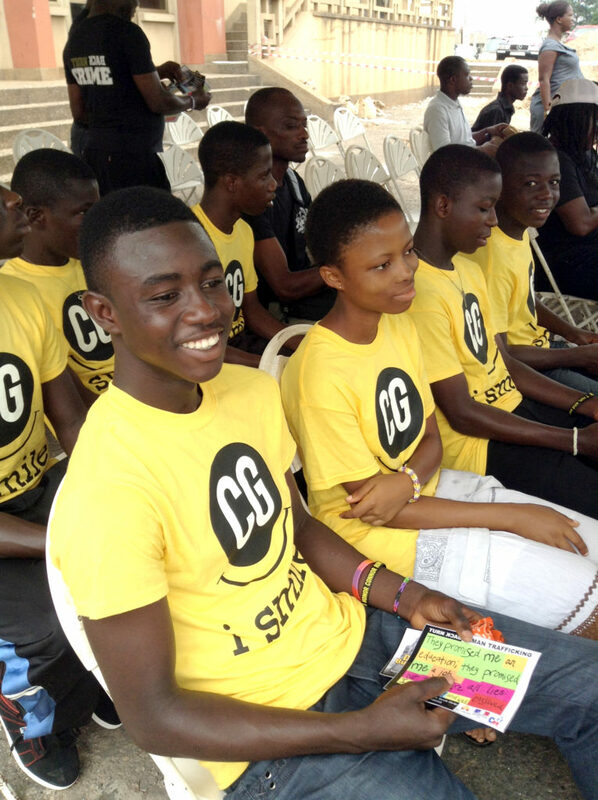 At the awareness event, groups of children and adults marched through the streets of Kumasi, sharing their stories with the community and exposing lies associated with child exploitation. Our children held a banner encouraging people to report any instance of trafficking that they may witness. 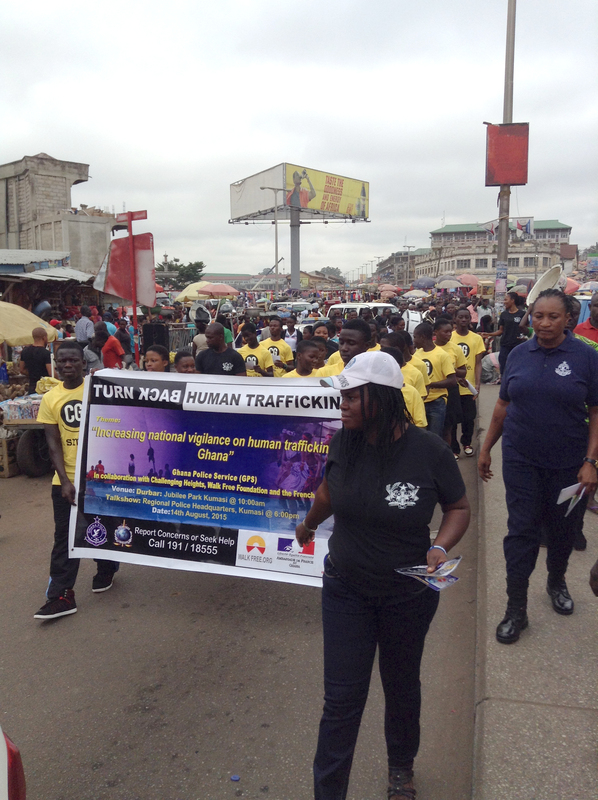 Touch A Life kids marching through the streets of Kumasi to promote awareness of human trafficking. 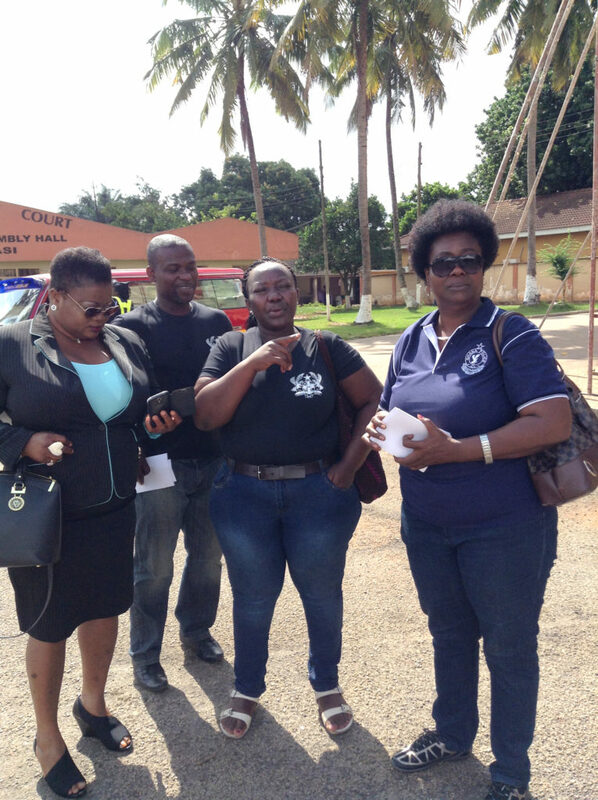 Bernard with Patience Quaye,National Coordinator for Anti Human Trafficking Unit of Ghana Police Service, and Regina Mintah, Ashanti Regional Coordinator for Anti Human Trafficking Unit of Ghana Police Service. We are honored to have been a part of this event, and are hopeful that events like these will prevent further human trafficking and child exploitation in West Africa.